Laura is a highly sought after junior who works across Chambers’ core areas of practice, and has particular expertise in Competition, Information, and Environmental law. She is responsive, fiercely analytical and strategic, and a compelling advocate. She has appeared in all manner of courts and tribunals, ranging from the Information Tribunal to the Court of Appeal and Supreme Court, as well as the Court of Justice in Europe. She regularly appears in her own right, and also acts as an integral and highly valued part of the team in larger cases. She is the Updates Editor for the leading EU Competition law text, Bellamy & Child European Union Law of Competition, producing the producing the annual supplementing text, as well as being a contributor to the 7th Edition. Laura is security cleared and can handle sensitive cases. She is also direct access qualified, and can accept instructions directly from clients. Laura advises and represents private clients and regulators across the full spectrum of Competition law. She was part of the team which won GCR’s global ‘Litigation of the Year – Cartel Prosecution’ team in 2015 for National Grid Electricity Transmission v ABB and others. Laura is Updates Editor of Bellamy & Child European Union Law of Competition, producing the annual supplementing text, as well as having been a contributor to the 7th Edition. Microsoft Mobile Oy –v- Sony Europe and others: for the claimant in stand-alone proceedings in the Chancery Division, concerning the supply of lithium ion batteries for mobile telephones. National Grid Electricity Transmission –v- ABB and others: for the claimants in follow-on proceedings in the Chancery Division, concerning the power cables cartel. Welsh Ministers –v- Servier: for the Welsh claimants in proceedings in the Chancery Division, concerning the supply of the ACE inhibitor Perindopril (inc.  EWHC 2720 (Ch)  EWHC 647 (Ch)). Emerald Supplies – v – British Airways: for the Part 20 Defendant, Cargolux, in proceedings in the Chancery Division concerning the supply of air freight services. Unwired Planet International Ltd and others – v – Samsung Electronics Co Ltd and others: for Samsung in proceedings in the Patent Court, concerning FRAND licensing terms for telecommunications patents. Welsh Ministers –v- Reckitt Benkiser: for the Welsh claimants in follow-on proceedings in the Chancery Division, concerning the supply of Gaviscon. BCL Old Co. Ltd –v- BASF plc  UKSC 45: for the claimant in the first competition case to come before the Supreme Court; concerning the date on which time begins to run for limitation purposes under section 47A Competition Act 1998, and whether it complies with the EU principles of effectiveness and legal certainty. Emerson Electric –v- Morgan Crucible  EWCA Civ 1559: jurisdiction of the Competition Appeal Tribunal under s.47A Competition Act 1998 to hear damages claims against subsidiary companies within infringing undertakings. BA / Virgin, OFT decision of 19 April 2012: advising the OFT on its decision regarding passenger fuel surcharge pricing. Campaign for Real Ale (‘CAMRA’) –v- OFT: judicial review in the Competition Appeal Tribunal of an OFT refusal to refer a super-complaint under s.11 Enterprise Act to the Competition Commission. National Grid –v- Office of Gas and Electricity Markets (OFGEM)  EWCA Civ 114: leading authority in the UK on abuse of dominance. Laura frequently appears in the Upper Tribunal and First Tier Tribunal in information rights cases, for the Information Commissioner and for requestors, and she regularly advises on FOI/EIR/data protection issues. Savic v IC, Attorney General, and Cabinet Office (GIA/2074/2015 and GIA/2075/2015) (ongoing): the legal advice by the Attorney General, and other information, about the UK’s decision to participate in the NATO bombing of Kosovo. Ministry of Defence and Foreign and Commonwealth Office v IC (EA/2015/102 and EA/2015/0010) (ongoing): the legal advice by the Attorney General on the legality under public international law of the UK renewing its nuclear weapons arsenal under the Trident programme. London Legacy Development Corporation v IC and Hunt (EA/2015/0023) (ongoing): the contract under which West Ham United Football Club has become the new ‘anchor tenant’ at the Olympic stadium. Reprieve v IC and Foreign and Commonwealth Office (EA/2014/0233) (GIA/1520/2015) (ongoing): information on the UK’s provision of counter-narcotics assistance to Pakistan. Birkett (on behalf of Clean Air London) -v- Defra  EWCA Civ 1606: leading authority on right of public authorities to raise new exemptions, under EIR, for the first time before the First Tier Tribunal. Jones v IC and Department for Regional Development for Northern Ireland  UKUT 82 (AAC): circumstances in which an appeal by a litigant in person may be struck out. North Bristol NHS Trust v IC, Carillion, The Hospital Company (Southmead) Ltd and Mr Sid Ryan (EA/2015/0022) (ongoing): PFI contract for the design and construction of part of the Southmead Hospital in Westbury-on-Trym, North Bristol. Laura is instructed in a range of cases raising questions of EU law, in particular in the Environmental and Competition law contexts. She regularly advises on EU law issues, including on making complaints to the European Commission and bringing claims in the European Courts. Case C-304/16 R (on the application of American Express Company) v the Lords Commissioners of Her Majesty’s Treasury: for American Express in a challenge to the extension of the price caps contained in Chapter II of EU Regulation 2015/751 on Interchange Fees for Card-Based Payment Transactions to three party card payment schemes which issue cards with co-brand partners and/or through agents. R (on the application of American Express Company) v the Lords Commissioners of Her Majesty’s Treasury: for American Express in a challenge to the extension of the access obligation contained in Directive 2015/2366 on Payment Services in the Internal Market to three party card payment schemes which enter into arrangements with co-brand partners and/or agents. Case C-366/10 Air Transport Association of America –v- Secretary of State for Energy and Climate Change,  ECR I-13755: for five Environmental Organisations in a challenge brought by the international aviation industry against their inclusion in the EU emissions trading scheme. BCL Old Co. Ltd v BASF plc  UKSC 45: for BCL the appellant in a case concerning the compatibility of a limitation period with the EU principles of effectiveness and legal certainty. Cases C-259 and 260/10 Rank Group Plc –v- HMRC  ECR I-10947: for HMRC in a claim for repayment of VAT paid on machines used to gamble, based on an alleged breach of the principle of fiscal neutrality. 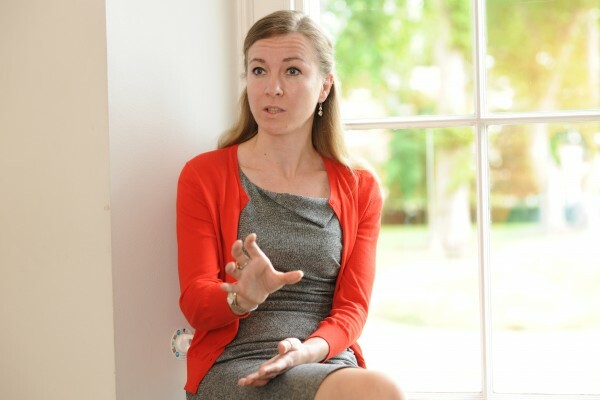 Laura is a specialist in domestic, European and International Environmental Law. She regularly appears in access to environmental information cases (see Information Law), and has appeared in the Court of Justice of European Union. Laura is direct access qualified, and can accept instructions directly from clients. She is also willing to consider acting at reduced rates or pro bono in appropriate cases. European Low Fares Airline Association (‘ELFAA’) –v- Secretary of State for Energy and Climate Change: for ELFAA in a challenge to the temporary derogation from the EU emissions trading scheme for international aviation activities to and from aerodromes outside the EU. Birkett (on behalf of Clean Air London) -v- Defra  EWCA Civ 1606: leading authority on right of public authorities to raise new exemptions, under the Environmental Information Regulations 2004, for the first time before the First Tier Tribunal. Before being Called to the Bar, Laura worked in DEFRA on the Animal Welfare Act 2006. Prior to that, during her BCL, she was a part-time Research Assistant at the University of Oxford, analysing the marine environmental protection regimes operating in the Mediterranean (in particular, the EC and IMO/MARPOL regimes). Laura advises on a range of public law matters, particularly in the environmental context (see Environmental Law). She also frequently appears in the Upper Tribunal (Administrative Appeals Chamber) and First Tier Tribunal (Information Rights Chamber) in access to information cases (see Information Law). United Utilities v Manchester Ship Canal Company and others  UKSC 40: for the Middle Level Commissioners, intervening, in an appeal concerning the rights of statutory sewerage undertakers to discharge in private watercourses. Successful challenge to the British Board of Film Classification (‘BBFC’) refusal to classify the film “the Human Centipede II (Full Sequence)”. The film was granted an 18 certificate in the UK after the BBFC agreed to a number of cuts, reversing its original decision to refuse classification of the controversial horror film on the grounds of sexual violence and graphic gore. Advising on the competition and pricing functions created by the Health and Social Care Act 2012. Rank Group Plc –v- HMRC: for HMRC in a claim for repayment of VAT paid on machines used to gamble, based on a breach of fiscal neutrality, including  UKUT 347 (TCC);  EWCA Civ; and  UKSC 48.